Yamada Takashi lost his life in the snowy mountains — that is what he thought, but he then appeared in an unknown place; another world that looked like the game he played. Moreover there are many things that he doesn’t know…. While puzzled, he still retains the strongest class ability and is relieved. High rank magician, [Wise man] Marius is still living till today. I have read a bit of the Manga version and I really like what I have seen from that. I like to think that I am a good judge of what will appeal to me early on and this is one that looks like I will really like in the long run. 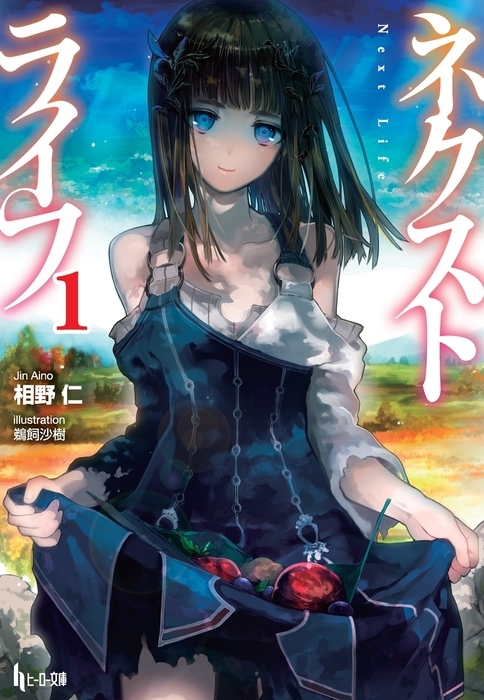 the manga has too few chapters to judge it but ill admit this has gotten my interest if not for the progression suggested by the LN Covers and whats been shown in the manga. would like to see this one. well, I believe it is very much possible to judge very early on in any series. let's say we have a LN series, each LN has 5 Chapters (Ch) and each CH has 5 parts (Pt), that would mean each LN would have 25 Pt. now you finish Pt 1 of LN1, you give it a Quality Score (QS) of 50. Is it reasonable to say the next Pt would be about the same QS as the current Pt right? so let's say there is a 1/3 chance it will lose 1 QS, a 1/3 it will gain 1 QS, and 1/3 chance it will remain the same. Pt 25 will have a minimum of 25 QS and a maximum of 75 QS, it is most likely to have a QS of 50 and the LN will have an average of QS 50 too. All this is assuming that is pure chance that the quality of a series will go up or down or remain the same, but in real life the Author will not just lose his skills as a writer so it can be safely assumed that it is more likely that the "chance" a series will remain the same quality or improve is greater then 1/3. @drone205 I have no idea what you said there. Anyway, the manga has literally been like, "here's 3 chapters of a setting, oh no the setting is changing! ~HIATUS~" so I disagree, I don't think it's really enough to judge an entire series on such a prologue. @myskaros to put it simply if early on in a series like reading a single chapter or part, you think "this has X quality" or how good you think the series is, then the series will likely remain that good throughout the series. however, this assumes there is an equal "chance" the series will get worse or better or remain the same. but since in real life the author will not just lose his writing skills we can say that the "chance" that the series will remain the same quality or get better will be greater then the "chance" the series will get worse. Spotlight time! Long story short, I'm trying to bring attention to license request posts that are older, haven't had any recent conversation, and are lower on votes. If you have read this particular series or even if you haven't but want to see it licensed, make your pitch. +1. The manga caught my attention for this. Would like to see where it goes.